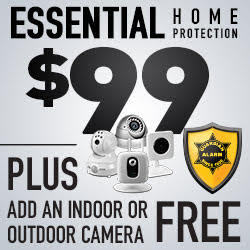 Home improvement and remodeling can be costly. A kitchen or bathroom renovation alone can cost thousands of dollars if you are not “being smart” about it. Remodeling your home doesn’t have to be that expensive. There are a lot of ways to lower the cost of home improvement projects. Below are some tips and advice that can help you save some money. If you want to update your kitchen or bathroom, look out for special deals on countertops and bathroom stuff before you start remodeling. Once you grabbed the deal, plan your remodeling project around these items. Always leave a little room for your remodeling budget. Set it as emergency fund just in case something went south along your journey. If you don’t have emergency cash and the situation calls for it, you might end up borrowing the money with tremendous interest. Not a very practical move if you want to save money, right? So always leave a wiggle room on your overall budget. Don’t do any projects that require moving drain lines and electrical outlets. Moving them is quite costly as it requires professional help, not to mention the permit that you must secure beforehand. Custom made cabinets and furniture are more expensive than the standard ones. According to experts, a custom kitchen cabinet can cost 80 percent more than stock cabinets. So plan your remodeling project with stock sizes in mind. Look for resale stores around your area. If this doesn’t work, check out online listings or ads like eBay, Craigslist and Facebook groups for cheap materials. You’ll be surprised to know that some of them are even offered for free, and all you need to do is pick them up. Hire a contractor in the off-season as they will charge you for a much lower rate than they used to. Get at least three different quote or bids to find the one that offers excellent value for money. Aside from the price, also look at their experience, reputation, and client-reviews. If you are about to hire a contractor, ask them if you can do the small jobs yourself. Like for example, if the cleaning and painting part of the project can be done by you, tell your contractor about it. This way, they can cut off their price as it won’t include those jobs (to be done by you) on their list. Instead of replacing your old but still functional furniture and appliance, why not try revamping them? Like for example, if you have a pretty old chandelier, try repainting it instead of buying a new one. Always consider this option before you decide to buy a new one. Since the goal of these tips is to save money, why not do upgrades that can lower your monthly energy bills significantly. Replace your old appliance with energy-efficient ones. Check your home for possible leaks (repair it quickly!) that can affect the temperature inside your house. 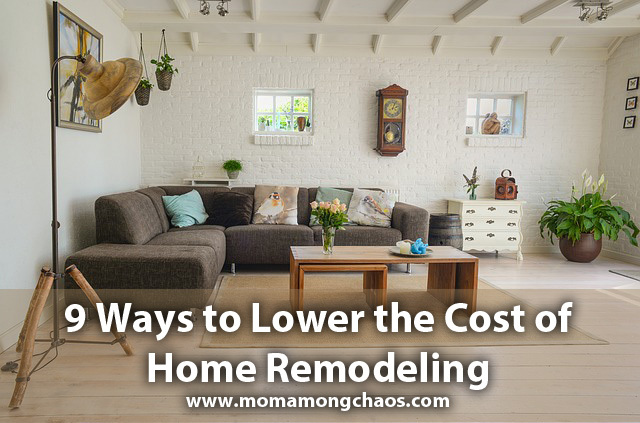 Following these tips and tricks can surely help lower the cost of home improvement projects. If you have anything to add, let us hear about it via the comment section below.